Handbuilt wheels and why you should buy them from us. Handbuilt wheels are just that, built by someone hands rather than a machine. This includes the lacing of the spokes and bringing the wheel to correct tension. If this process is done by hand, it is hand-built. We have built thousands of wheels. Some of our wheels have traveled across the country, some race in local crits, some ride dirt paths, and many are required on a daily basis to get to and from. We have seen what works and what doesn't first hand. If you tell us what you want in a wheel, we use this experience to get a wheel or wheels that do exactly that thing. We have worked with an enormous number of vendors and have highly trained wheelbuilders ready to help you. We also have our ace in the hole, a custom Phil Wood Spoke cutting and threading machine for perfect spoke lengths every single time! This is just a sample of what we have used in the past. We have rebuilt coaster wheels with new hubs to preserve matching rims all the way to Zipp 404s with PowerTap hubs. Liquid Components - our exclusive house brand of high performance wheels. Included with every wheel build will be lifetime service of that wheel or wheelset. 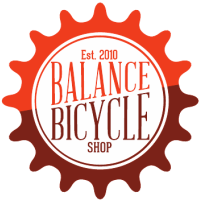 This is limited to truing, spoke replacement, and bearing service for the configuration that your purchased your custom wheels.